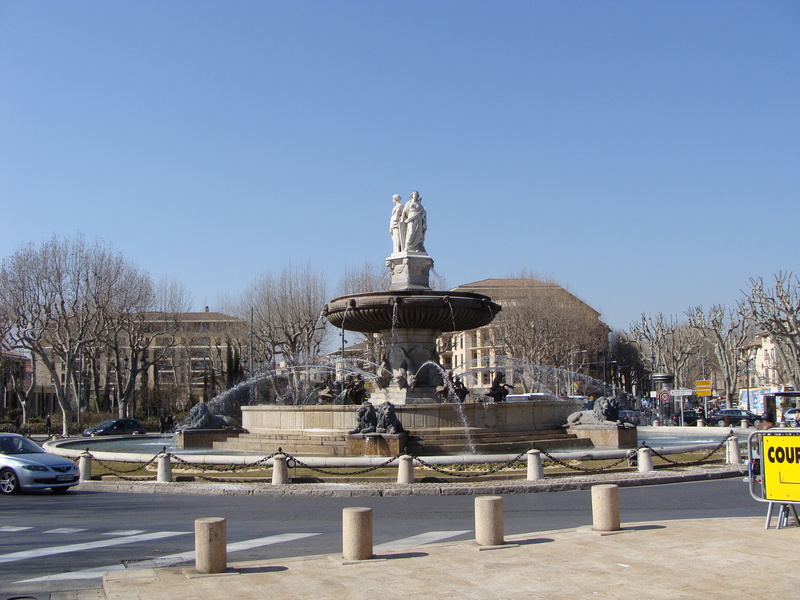 Aix part Deux | Help! I live with my Italian mother in law! An enormous fountain with a dizzying roundabout starts your journey. Once safely across the numerous zebra crossings you can begin walking towards the next of 10 fountains that are dotted along your path and serve as more traffic roundabouts. The boulevard is wide and lined with trees and Brasserie along the way. On Saturday mornings there is a market in the center. Perhaps it was the season because I didn’t see any street artists or painters which I love to watch. Although cars are allowed down the boulevard it seems limited and pedestrians dominate the area. 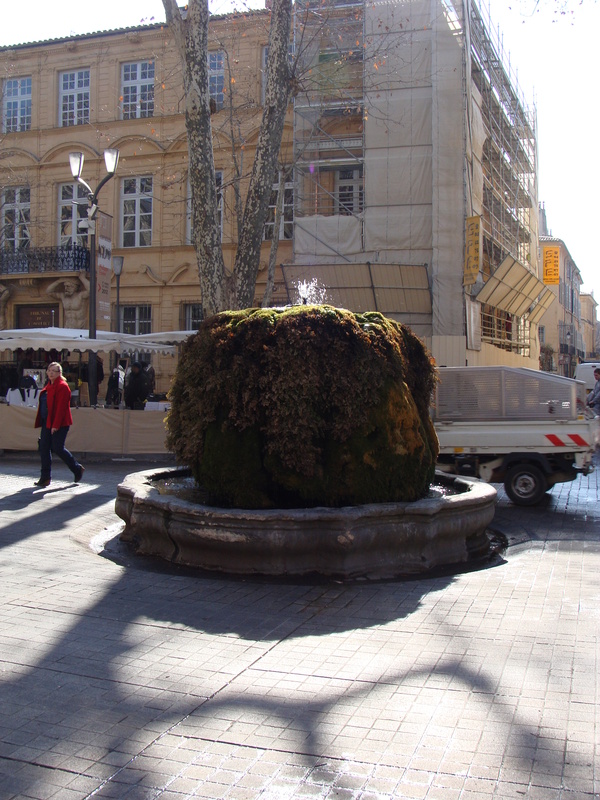 Many of the fountains are covered in moss and give an ambiance of walking through a park. As this is the main tourist street of Aix, we avoided most of the bars and opted to dine off the tourist trail. However, my husband loves raw oysters, sea urchins, etc. and so we stopped in at Les Deux Garçons after seeing their seafood display on the street corner. My husband was in his glory with his platter full, while I just marveled at his penchant for gooey, smelly fish (I took a photo with my mobile phone and of course cannot figure out how to download it onto my computer…sorry!). The service was great and there’s no shortage of people watching on a Friday night.I ordered a lobster ravioli and was a bit disappointed, but it would be hard to please someone with a pasta when that someone lives in Italy. All that aside, if you love raw oysters and such, this is the place to be! So there you have it…Mirabooooooo! This entry was posted in Food, Nature, Tourists, travel and tagged Aix en Provence, Cours Mirabeau, les Deux garçons, oysters. Bookmark the permalink.